The new 2038 XILION Rose Hotfix will be used across the entire Crystaltex assortment, and Transfers. 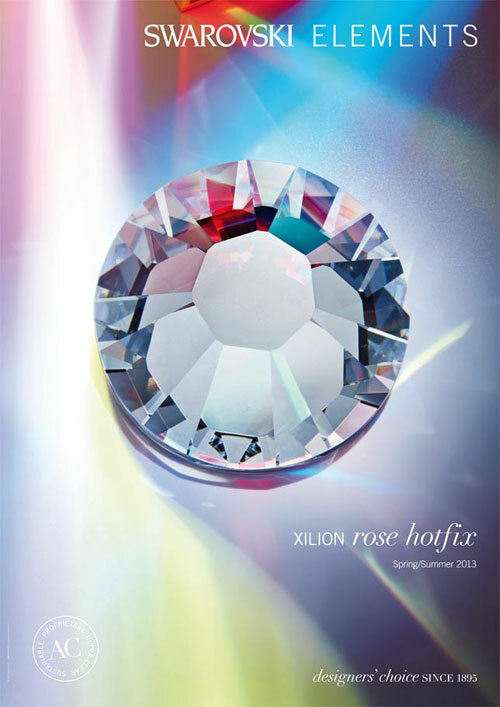 How to Differentiate the former 2028 XILION Rose from the new 2038 XILION Rose? This new innovative Flat Back features a new mirror made of real silver (A HF), which is unique in the market. This real silver mirror creates a warmer, brighter, diamond-like appearance, producing a more intense and livelier look to all the crystal colors. You can distinguish the new 2038 from the former 2028 flatback as the new has the rose gold on the reverse side. This is distinctive only to the 2038 XILION Rose and aids to authenticate that it is a genuine SWAROVSKI ELEMENTS product with a real silver mirror. Click on each to view full details. Opens in new window. 2038 XILION Rose Hotfix can be aplied using standard heat press/iron. The following gives you an overview. Recommended: test with original fabrics. Note that only with the 2038 can you applied heat from either side; each with different temperature setting. Other Hotfix and Transfers not using the 2038 as base, heat application can only be applied from the reverse side.